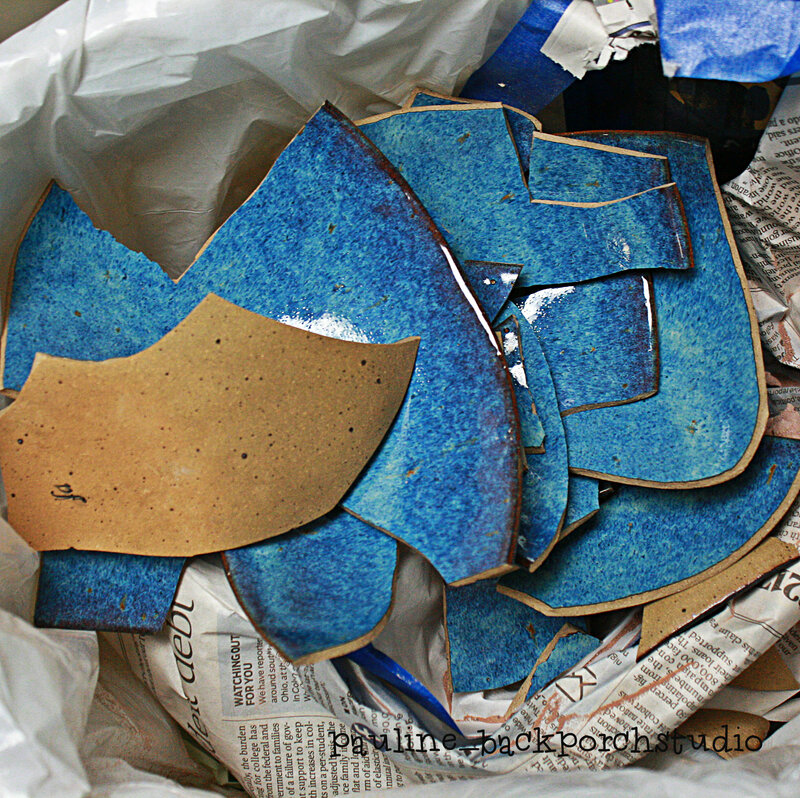 I unloaded the kiln and minutes later my nesting bowls shattered right in my hand! It seems I am having trouble with slabs. Slab work is not as easy as it looks, apparently! After some investigation on the interwebtubes, I am thinking I made my slabs too thin. Because I am using a slab roller, the clay doesn’t get a chance to be “compressed” like on a wheel – forcing clay particles to align correctly. To remedy that, I’ve read to use a rolling pin after the clay goes through the slab roller. I thought I was done with the rolling pin! I’ll need to drag my retired rolling pin back out and try AGAIN!